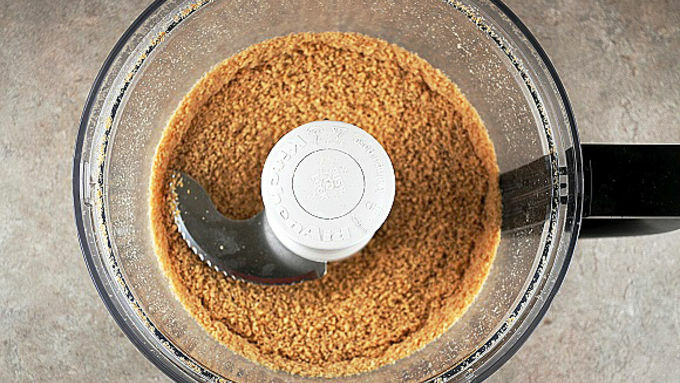 Using a food processor, grind down cereal until it is crumb like and has no large chunks. You want it looking like if you were making a graham cracker crust. 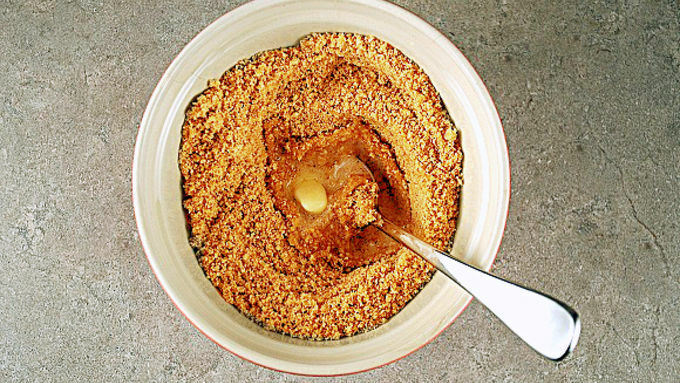 In a medium bowl add melted butter and 1 cup of the ground cereal and mix until all of the crumbs are moist from the butter. 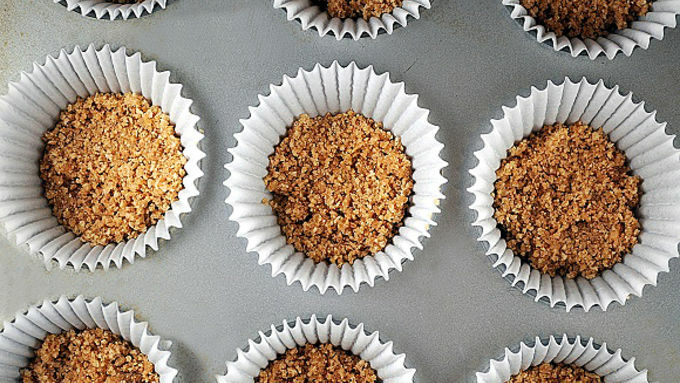 Using a 12 cup muffin pan place liners in each cup. Then evenly distribute out the crust. Using a stand mixer with a paddle attachment (or a electric mixer and bowl) cream together the cream cheese, sugar, pumpkin, flour, spice, salt, and vanilla until well combined. Add the yogurt and the eggs and beat until well combined. Scrape down the bowl and beat another 30 seconds to make sure eggs are fully combined into the cheesecake batter. Using a spoon or an ice cream scoop (this really helps with portions) evenly distribute the batter on top of the crust. Preheat oven to 275°F. Evenly distribute praline pecan pieces among the cheesecake. Bake for 20 minutes. Remove from oven and let cool on a wire rack until at room temperature. Keeping them in the muffin tin, refrigerate for at least 2 hours. When ready to eat, drizzle caramel over the top. 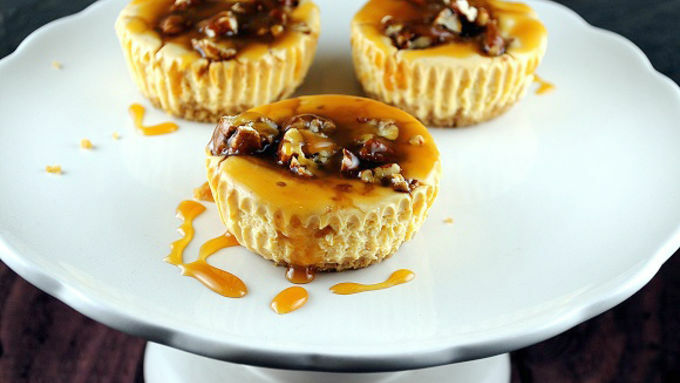 Keep the cheesecakes in their liners and serve buffet style or, remove the liners and add extra caramel before serving. You can find it on almost any restaurants dessert menu and with good reason, everyone loves cheesecake! And while cheesecake is awesome, it’s not so portable at a party. 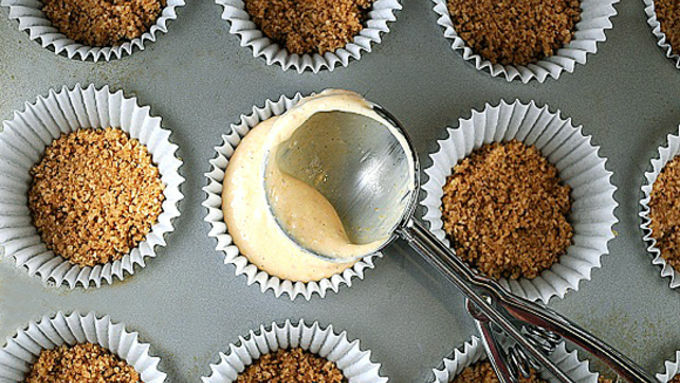 Enter cheesecake bites to the rescue. Portable with all the awesomeness that comes with regular cheesecake, but in perfect party form. 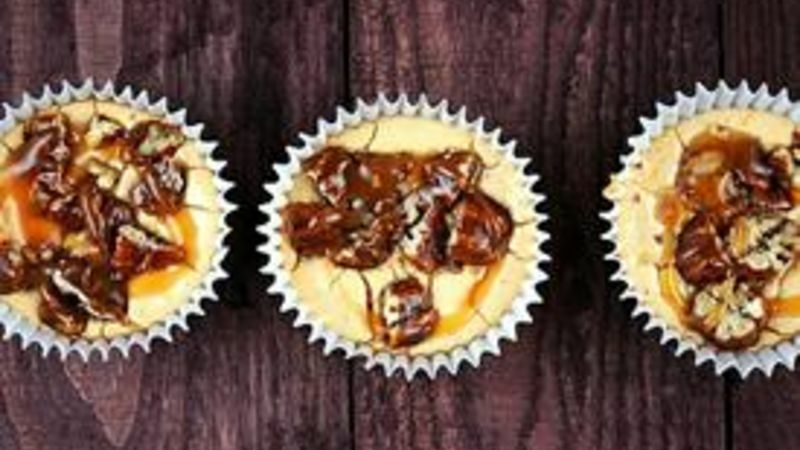 Pumpkin Turtle Cheesecake Cups will add something special to your holiday party or even Thanksgiving. Just when everyone is saying they couldn’t eat another bite, show them these, and I think they will change their mind. For an added spin, instead of the usual graham cracker crust, I made my crust out of Cinnamon Toast Crunch Cereal because cinnamon and pumpkin go hand in hand. 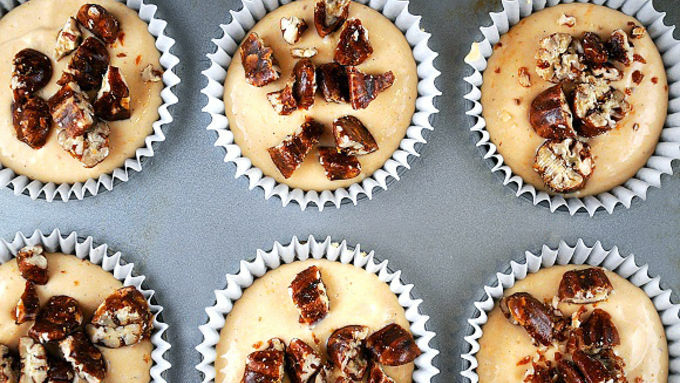 I used praline pecans, but regular pecans are just fine. I also used store-bought caramel sauce, but if you like to make your own. Chill in Fridge. Then top with caramel, caramel, and more caramel!